One of the main ways that bodybuilders thrive is the ability that they have to revel in their pains simply because they have been able to get past a certain weight level and thus assured themselves that they are stronger and more ready to get onto the next weight barrier. This is one of the most satisfactory feelings that you can have as a bodybuilder. Though the road to the top is painful and the fact that you will be grimacing a lot you should take comfort in the fact that the pain will yield results that will turn heads. The bodybuilder should get over his fear in the gym. This pain is mostly related to the strain and stress that the workouts will impact on your body. This should not hinder you from pumping more and more iron because you know that the means will justify the ends. Alongside this point there is a need to have a clear distinction between going all out wisely and going all out unwittingly. The later will surely land you in trouble mostly from injury. It may even draw the curtains on a career that could have really shone. Be cautious even as you master your pains. Learn to listen to the signs and signals that the body will be relaying to the brain. Know how to differentiate between muscle injuries and muscle burn. Once you learn to do all these rightly you will undoubtedly enjoy success both physically and emotionally; I forgot a third, you will be able to get mental satisfaction as well. 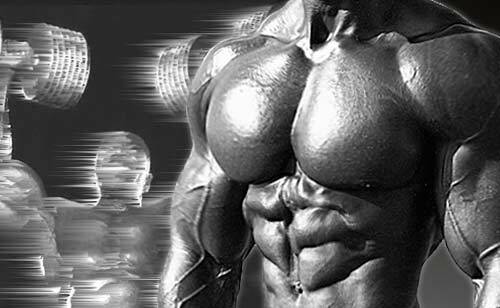 As a bodybuilder you will encounter instances of pain and discomfort that will not be erased from your memory as fast as you would want them to. These memories may be so traumatic but as long as you are focused you will make all the attempts possible to learn from your mistakes and then use this knowledge to increase your intensity in a more informed way. There is no reason for you to cow in fears of pain etched in your memory; shake them off and make progress. In the jungle, it is the strongest that survive. This is also the case in the gym. You will often start out as a large group but as time progresses the weaklings will back off leaving only the best to continue. Motivate yourself as being one of the best. This will drive up your perseverance and motivation. No great gains have been made with timid efforts. Bodybuilding is not about the team it is about the person. It is your effort and intensity that will earn you the top prize. Do not be restrained by your fears, conquer them because this is the only way to get top notch results. This entry was posted in Training and tagged Bodybuilding, Bodybuilding Training, Exercising, Intense Training, Intensity Boost, Intensity Training, Intensity Training Boost, Workout. Bookmark the permalink.